In our attempts to establish our personal style, we often find ourselves at sea, and that is completely normal. If you feel that way, you are not alone. On this journey, you might experiment a lot before you find the right one. There are times when you fall prey to current trends simply because you see certain items being worn by everyone. That is ok, too, we all make mistakes. However, precisely because you are not alone, we are here to lend a helping hand and guide you towards building a wardrobe that will speak to you; the kind of closet that will have you beaming with glee at the sight of it. 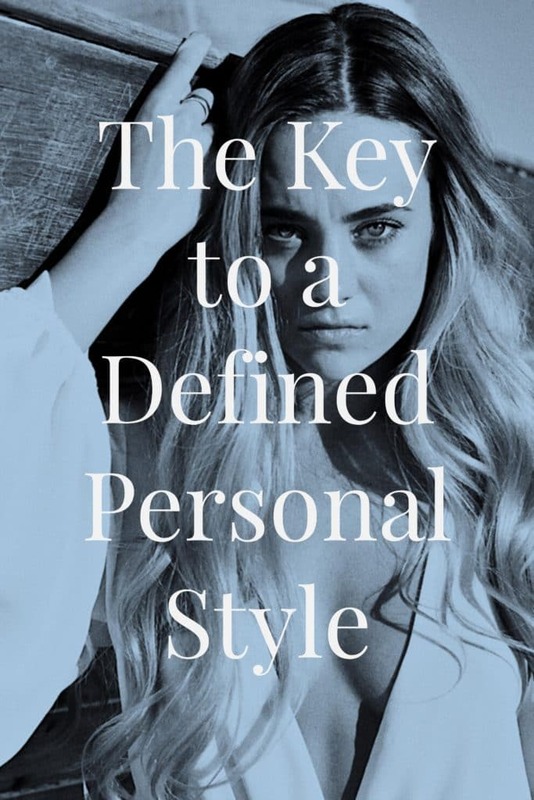 The first step towards a style that suits your personality and conveys to the rest of the world exactly who you are, you need to take a peek inside and pinpoint the essence of you. Are you classy and polished? If so, perhaps minimalism is the style that best speaks to you. You might be a free-spirited girl, the one who loves nature and craves adventure, in which case bohemian style is your spirit animal. Cool and casual perhaps? Ok, there is a whole range of cool and casual garments there. The important thing is that you discover who you are and that will lead you to the wardrobe that best suits your personality, lifestyle, and body type – clothes in which you feel like yourself. Once you have done that, you are already halfway there. If you have difficulty figuring out what it is you like, you can always look for inspiration elsewhere. 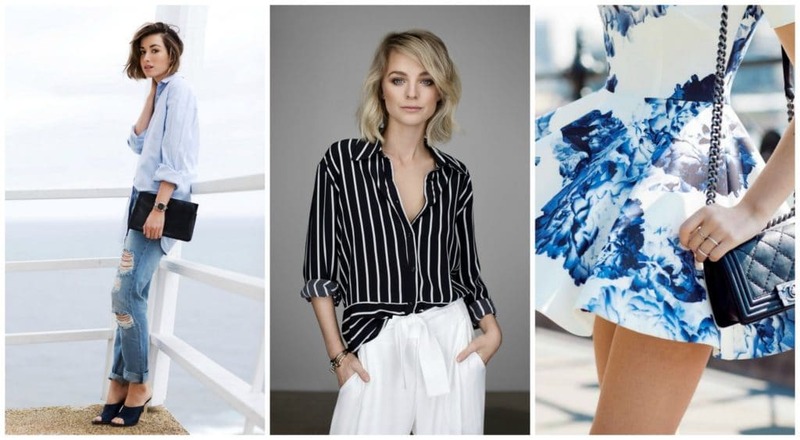 Pay attention to the way your favorite fashion blogger dresses – you know, the one who you’ve always admired or take a page out of your celebrity style playbook. When in doubt, start by copying, and before you know it, you will be like a bird ready to flow out of the inspirational nest and create amazing outfits without searching for inspo anywhere. While the fact that succumbing to every trend will only confuse you and lead you astray from the right style path, it is completely natural, if not encouraged, to embrace certain trends. If there is something new out there that you truly like, do not stay away from it just because it is trendy. There is no need to be exclusive. By embracing certain trends and incorporating them into your wardrobe in a way that still reflects the real you, you are actually letting yourself evolve. Always wear your clothes, never let them wear you.We are all constantly growing and changing, evolving if you will, and it is completely normal that your style evolves with you. For as long as you live, you will learn and improve yourself, and hopefully, your clothes will be there right by your side to show exactly where you are in life. For example, with the turn of the season, the trend of white dresses is on the rise, especially those romantic ones with lace, ruffles, and embroidery. 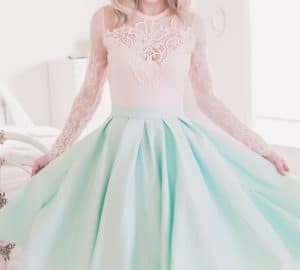 You can find wonderful lacey blouses and dresses online, just make sure to incorporate them in your outfit in a way that still feels and looks like YOU even from a mile away. Blake Lively is known for her gorgeous hair, Kate Middleton for her elegance and sleek, well-tailored dresses, Jennifer Lopez for her curve-enhancing, form-fitting outfits, Zooey Deschanel for her preppy, quirky style and her bangs. 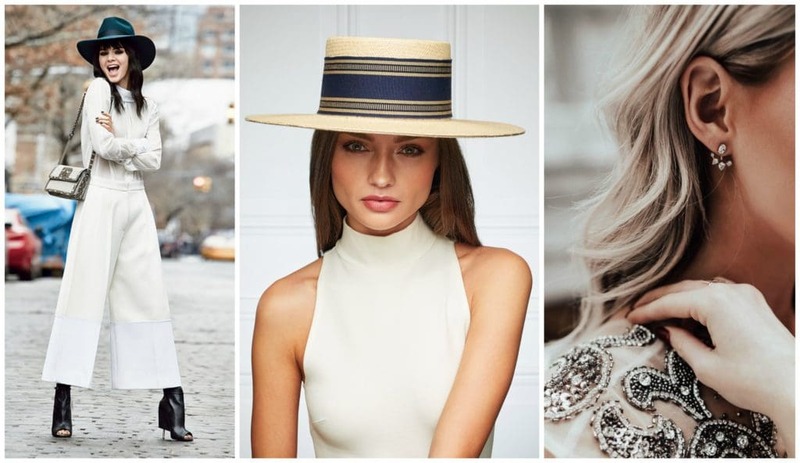 Most of our ultimate style icons have signatures that you can spot a mile off, so find your signature, something you will be known for, whether it is eyewear, your impeccable taste in bags, your love of hats and fedoras or your collection of amazing footwear. It really does not matter what it is, as long as when people see an item they can say ‘oh that is so you’. The golden rule of a great, compact closet is – every item you have not worn in the past year should go. There might be items you like but simply never wear because they are so difficult to combine with everything else. These, too, should go. Donate those items and make a fresh start. The next step is investing in timeless pieces, high-quality garments that you will not only wear forever, but that are easy to combine and suitable for any occasion. A little black dress, a gorgeous trench and winter coat, a pair of black pants, patterned-leather pumps, and the unforgettable white blouse/shirt should always find their place in your heart and your closet. Even style guru Tim Gunn says so. No matter what your sense of style is, these items can always be combined in a way that they express your style and never look dull. I adore all these outfits. In love with all of the looks. I agree that timeless pieces are a great investment. I loved this article. I’ve been working on adding timeless pieces to my closet. Thanks for the tips! These are great tips. I like to think that my signature piece is a (faux) leather jacket. You can find me rocking one almost every day that I can. Very stylish and matching with the trend. Finding your personal true style can indeed be a struggle mainly because we are all tempted to fit in society’s norms which of course is not healty at all. I’m a metalhead who likes chanel, failry uncategorized lol Thanks for sharing a great post! Nice article! Good research and information together. You should try and post this on http://www.inbodeforyou.com will reach stronger women’s audience! I think signature pieces are what define personal style. I have a couple of pieces that I wear all the time that are standbys in my closet. Classic never goes out of style. I my… I loved this post. I will definitely have to bookmark it and refer back to it from time to time. Very well written. I definitely embrace some of the trends. I tend to like a lot of them — not all — but a lot. I really love the images you chose to inspire! Signature pieces is such a good tip I’m going to work on finding mine! 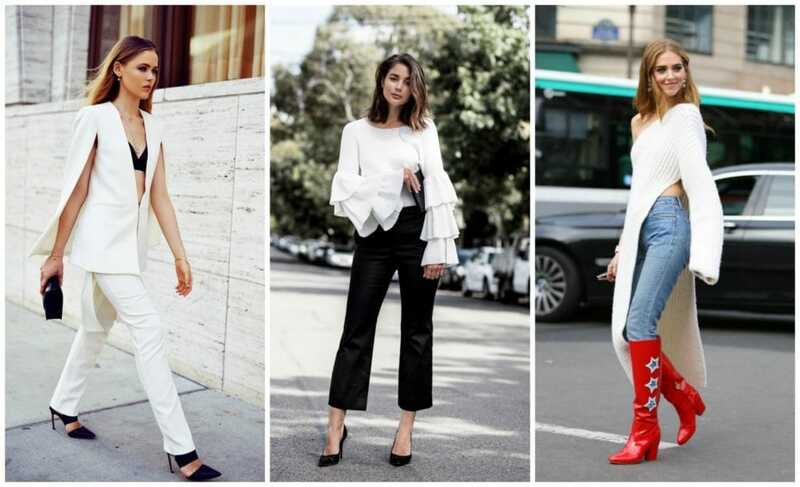 Wow, such an informative post there are some awesome tips shared here, indeed it will help many define their personal style! I’m slowly working my way through cleaning my closet. Every time I get rid of a bag of stuff makes me feel a little better! That’s very cool that you are encouraging other women to express their own unique style. Great guest post. When I shop, I always think two things. First, do I like it? And second, do I think this will go out of style quickly? I tend to overall buy things that are classic and timeless. I love all these styles so much! I really want to wear these outfits too! Love this! I am a huge believer in the signature pieces. I love finding something that I can wear all year long!